“Jumping Jack (2 minute workout)” is a stop-action video animation based on original drawings, that suggests a response to a “Hands up!” police order. 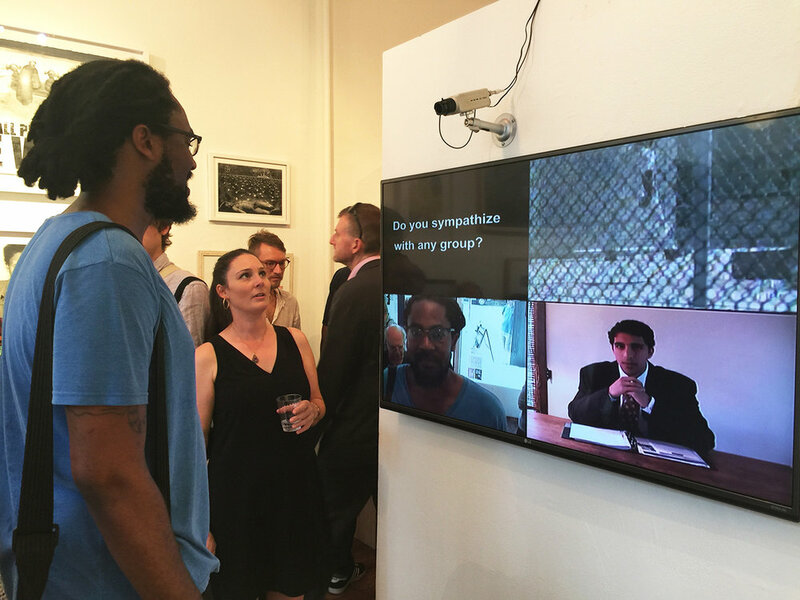 “Jumping Jack (2 minute workout)” is intended to prompt viewer empathy with targets of racial profiling, and undermine the construction of the ‘other’ by exposing racial stereotyping of Black men. 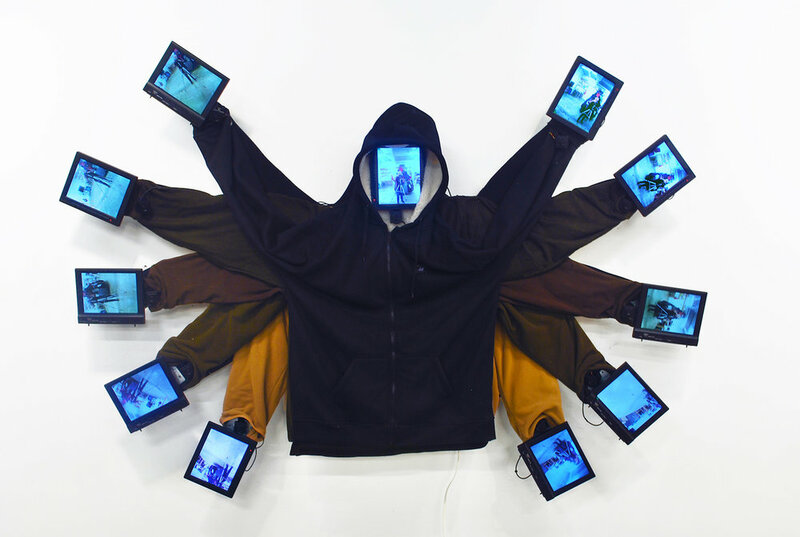 The rapid sequencing of a hoodie sweatshirt (arms down/ -arms out/- arms up) produces a stroboscopic effect, intended to reference racial profiling, tasering, Trayvon Martin, Shiva, Jesus. Clothing is our first skin and the outer-most layer by which others perceive us. “Jumping Jack (2 minute workout)” invites the viewer to examine the relationship between bias and clothing choice, i.e. how black hoodies function as markers in the context of racial bias. 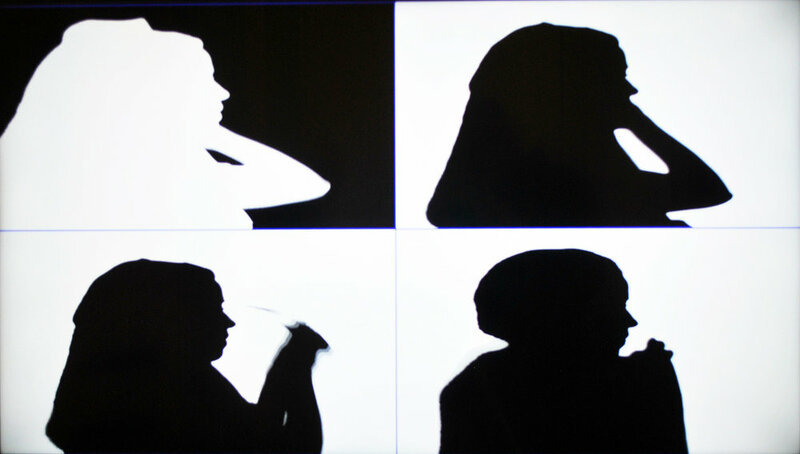 This video animation is part of the “Profiling ‘Profiling’” series, in which diverse tools -video, installation, social sculpture, live video- are used to explore the production and deconstruction of racial and ethnic profiling.